NEW YORK -WPP Group today announced the launch of mOne Worldwide, a global direct and digital marketing company that was created by the consolidation of OgilvyOne Worldwide’s media services with the mDirect and mDigital divisions of MindShare. 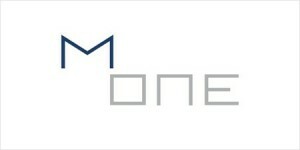 Nasreen Madhany, previously worldwide media director at OgilvyOne, will be worldwide CEO of mOne. The company will operate in 56 markets around the world, each led by a local CEO who will report into a board composed of leaders from both OgilvyOne and MindShare. The new company’s clients will include IBM, American Express and Unilever, and global billings are estimated to be about $500 million. It will employ 200 around the world. The company will offer services in the emerging “one to one” marketing worlds of direct marketing, direct TV, interactive TV, e-mail marketing, online advertising and new media, including broadband and other emerging technologies. The company’s focus will be to deliver advertising that can be measured and can deliver a marketer’s return on investment in markets around the world, Ms. Madhany said.